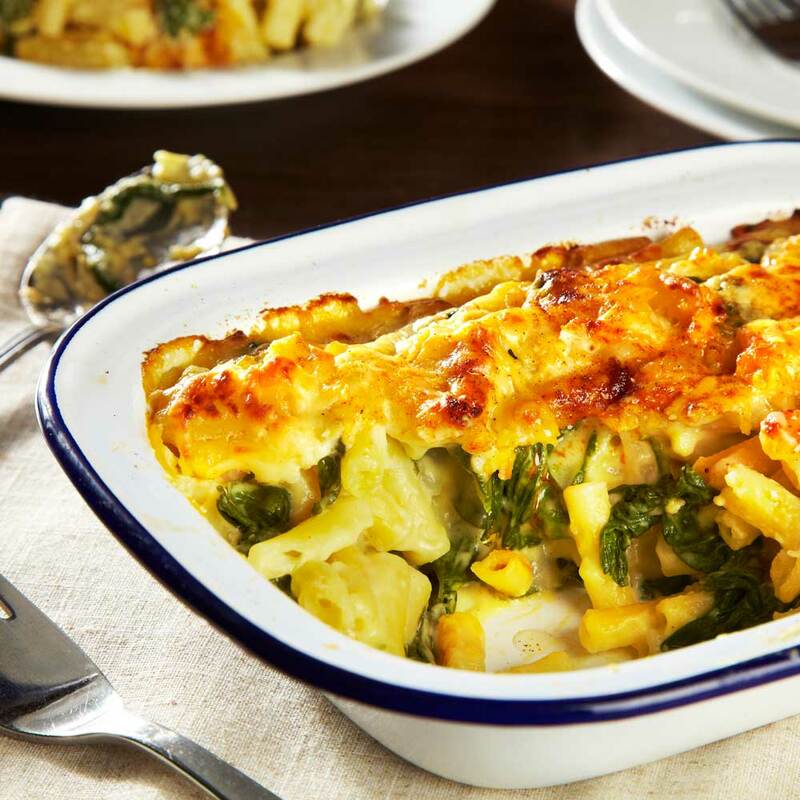 Always a delicious and warming dish, this mac and cheese is livened up with spinach, mustard and a little smoked paprika..
Bring a large pan of salted water to the boil. Add the pasta and cook for 1-2 minutes less than the pack instructions. Remove from the heat, drain and cool under some cold water if not using immediately. In a non-stick pan, melt the butter and add the diced onion. Cook gently for 2-3 minutes until the onion is soft. When you have added all the milk, you should have a smooth sauce. Add the spinach, chopping up or tearing any really big leaves. Stir in well over the heat, allowing the spinach to wilt. Remove from the heat, then add the mustard, three quarters of the cheddar and stir well until it is all melted. Stir in the egg yolk. Season to taste with salt and pepper. Mix the pasta with the sauce and place into an oven proof dish. Top with the remaining cheese and sprinkle a little smoked paprika on top. Place into the oven for 20-25 minutes until nicely browned and piping hot.